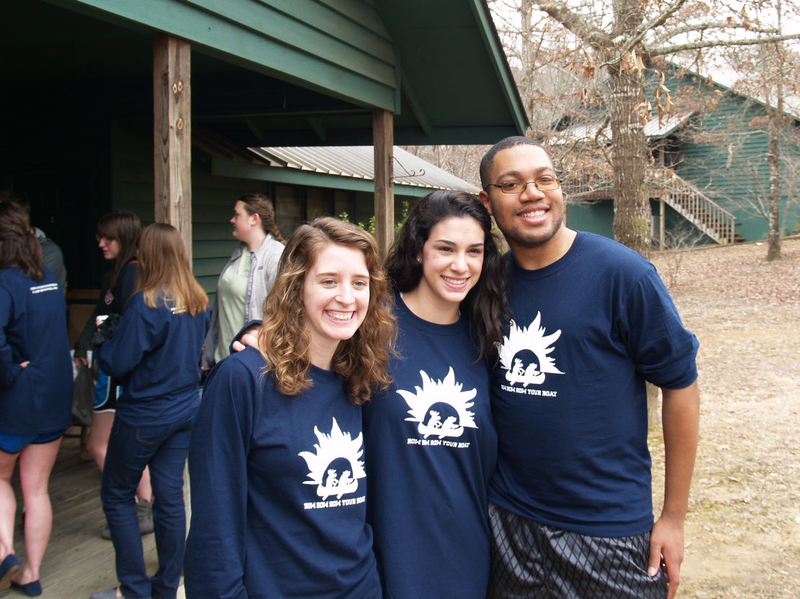 A highlight of the New College Council’s service is the Annual New College Retreat, held in the spring. For this student-planned and student-run event, New College students and faculty travel to Camp McDowell in rural Winston County, Alabama to explore the meaning and purpose of a community of learning. Situated in rolling hills that surround the gorge at Clear Creek, Camp McDowell is a respite from the demands of campus life. New College students strengthen their sense of community through activities like nature hikes, canoeing, and a campfire – as well as by working together to prepare meals and maintain the lodges where they stay. Students frequently make lifelong friends on the New College Retreat. Speak to a New College Council member or your advisor if you want to help with the retreat.